SCUDERIA FERRARI CLUB WIN AT MONZA Among many events organised by fans at the time of the Italian Grand Prix were an award presentation for Marc Gene, a game of football, fantastic hospitality, driving simulators and tyre-changing demonstrations. GROWTH FOR SCUDERIA FERRARI CLUB After three years of success and growth in the numbers of clubs and of members,Massimo Rivola, Scuderia Ferrari Team Manager, was re-elected for another three-year term as President of the Scuderia Ferrari Club. Acting as host at the members’ assembly, held in the Ferrari meeting room at Maranello, was Mauro Apicella, the Club’s Chief Operating Officer. 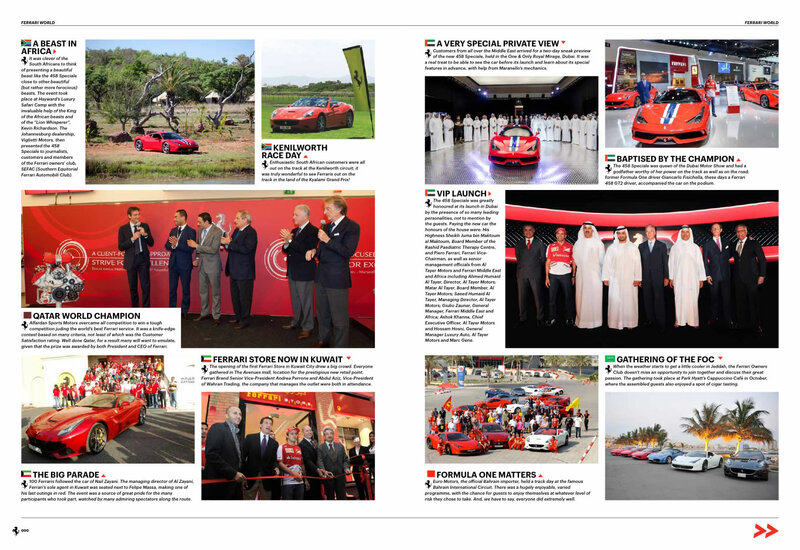 A VERY SPECIAL PRIVATE VIEW Customers from all over the Middle East arrived for a two-day sneak preview of the new 458 Speciale, held in the One & Only Royal Mirage, Dubai. 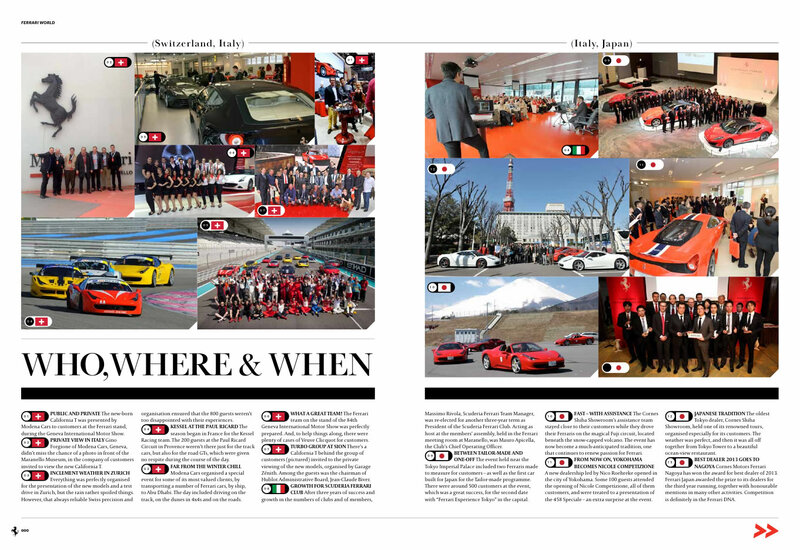 It was a real treat to be able to see the car before its launch and learn about its special features in advance, with help from Maranello’s mechanics. MAGICAL MONZA There are race tracks whose name alone holds a great fascination. Monza is certainly one of these. 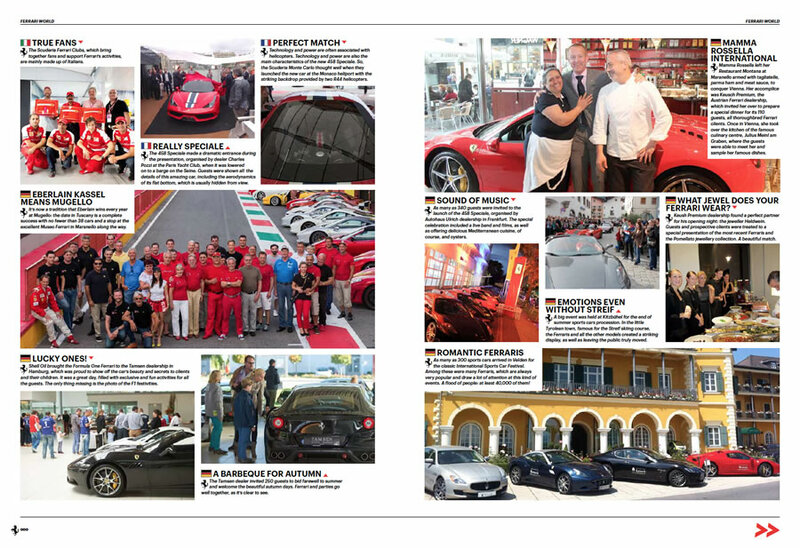 Proof of this was the event organised for dealers Rosso Corsa, Ineco, Forza and Motor in a highly sporting vein. 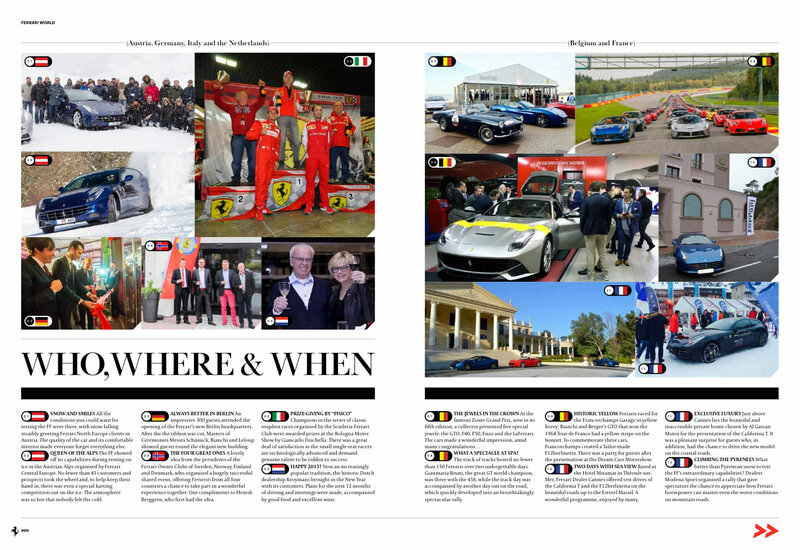 In addition to drives round the track in their own cars, the attendees were able to have fun participating in a contest with two F430 Challenges. 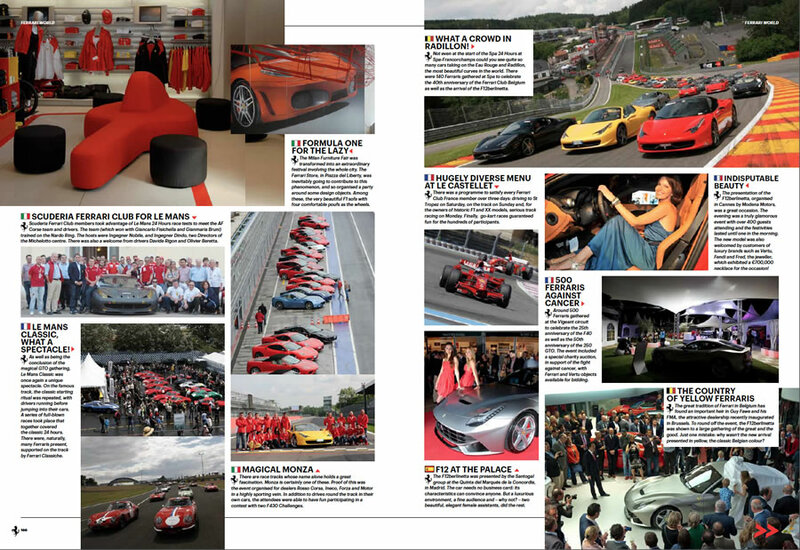 TRUE FANS The Scuderia Ferrari Clubs, which bring together fans and support Ferrari’s activities, are mainly made up of Italians.